Exceptional Service, Course Conditions & Amenities set us apart from the rest. Every golf club holds golf outings. 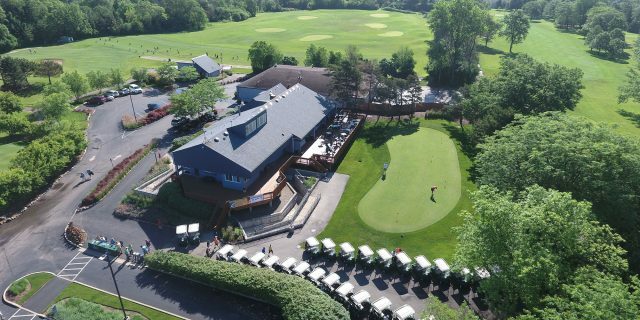 What makes the Deerfield Golf Club & Learning Center the best choice for your outing? Aside from great golf, GPS equipped golf carts, a mobile app with real-time scoring and expert service, our professional and detailed oriented staff will assist you in reaching your fund-raising goals and provide an exceptional experience for your guests. We make your golf outings EASY, FUN, EXCITING and DIFFERENT! Gone are the days of logo tees and sunscreen filled goody bags. Make your event one that will stand out and one your golfers will return to year after year. The avid golfer will play in an average of just three golf outings per season. These golfers make their outing decision based on the charity, what golf course the event is held at and how enjoyable the event is. How do you make your outing stand out from the rest? Deerfield Golf Club handles all of that for you. We encourage you or your committee to take advantage of our vast outing experience. Contact us and schedule a visit to our club to discuss all the options. Call or email 847-572-2682 or jason@dfpd.org for more information.